The power of a story. It can move us to action or bore us to death. Often the ability to elicit either of those reactions is based on the message, construction, and benefit offered by the story. Business rarely thinks of selling or marketing in terms of storytelling. As such, many businesses either don’t have a story or have a very poor one. These ideas can help you understand how to be a powerful storyteller. 1. Have a Compelling Promise. If an individual or organization hears your story, or tries your product or service, what is the promise that you are going to deliver on? What is the compelling nature of that promise? And, how does your audience take advantage of and realize the benefit of such a promise? 3. Close Credibility Gaps. If marketing is about storytelling, then the marketers need to be careful. Careful to craft and deliver a story which is believable and achievable by the customer. Being aspirational is good, just be careful not to move into the realm of the ‘unbelievable.’ Such a credibility gap is hard to recover from. 4. Create a Worldview. Each market, each customer has their own, unique worldview. That is the way they evaluate, interpret, and choose which products and services to purchase. It is the marketer’s job to recognize this and create a story which aligns with the market or customer’s worldview – thereby aligning with their needs, goals, and aspirations. 5. Showcase the “New”. The market and customers are saturated with stories, some fantastic and some mundane. Over time, every story becomes known and ‘feels’ old and tired. Markets and customers react positively to the ‘new’ story when they have not heard it before or if it is a substantial improvement over the old story. 6. Be Differentiated. Ever try to scream into a jet engine? Or, overshout a crowded sports arena? Impossible isn’t it? Ever been in a very large, very loud environment and something catches your attention, where you hear something unique? That is what is meant by differentiation. A tonality difference which separates your story from the rest of the stories out there. 7. Say it Fast. People listen, interpret, and evaluate much faster than we can articulate. As such, markets and customers easily become distracted from what you’re saying when they hear something else. As such, keep your story short and straightforward. Don’t demand their full attention. 8. Stay Simple and Clear. Don’t require an expert to explain your story. Don’t make the market or customer ‘link’ to additional information for meaning and context. Keep the story simple and immediately understandable so as to elicit a positive action instead of fast, easy dismissal. 9. You Had Better Believe It. Marketers usually find it easy to create a story. Unfortunately, often overlooked is making sure that everyone in the company believes the story. The market and customer can see it in your eyes – whether or not you believe it. If the story says one thing and the salespeople or customer support people believe something else, you’re in trouble. 10. No Fibs and Frauds. Story telling works when the story actually makes the product or service better. However, story telling which stretches the truth or storytelling which is believable but an outright fraud is never a good idea. After all, your reputation is at stake. 11. Keeping Your Promises. If you’re out telling a story to the market or customer, you had better be able to keep the promises that the story tells. Your ‘back end’ processes, your product or service, your customer support people, your warranty, etc. had better make the promises come true. Customer loyalty is at stake. 12. 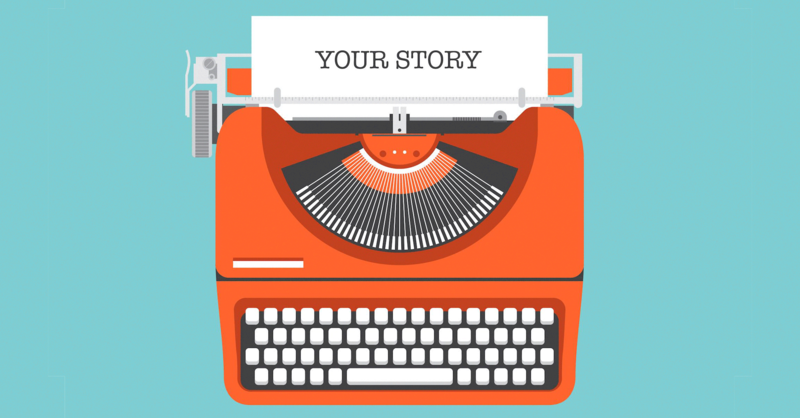 Don’t Tell Your Competitor’s Story. They are experts at telling their own story. Don’t create a story for your company or product which sounds the same or calls out a competitor. Your story is yours. Keep it that way. 13. Deliver the Punchline. Create an ‘ask’. Move the hearer to action. After all, that is why you have a story! You’re not in the business of just telling stories, you’re in business to sell something. The Afterburner Group has been creating, validating and packaging stories for companies in the technology, energy, services, manufacturing and non-profit industries for over 25 years. If you think that your story has gone stale, no longer works or is irrelevant to your markets and customers, fill out the contact form below and we’ll let you know how to solve these challenges, what that might look like and how you’d benefit.